The Gist: Julia Ioffe on mothers of ISIS, and Amazon jobs. Reporter Julia Ioffe shares what she learned from the mothers of radicalized converts killed after joining the terrorist organization. 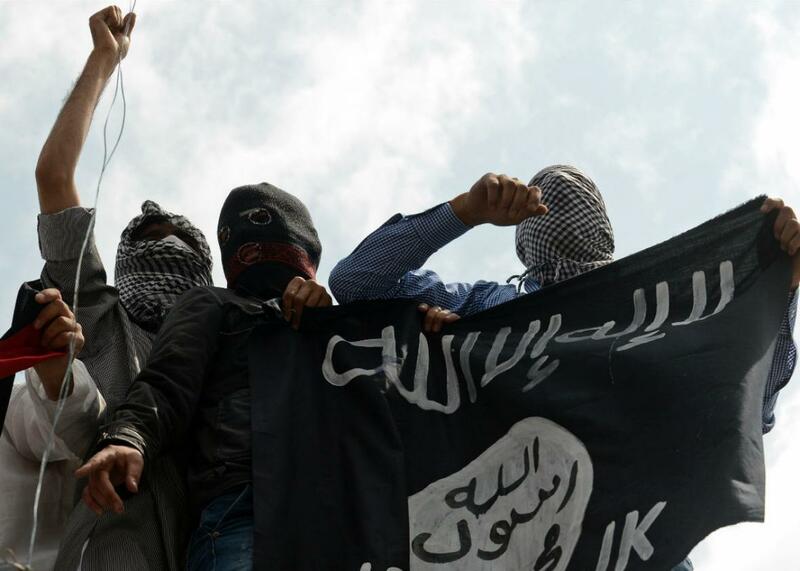 Kashmiri demonstrators hold up a ISIS flag. Phot by Tauseef Mustafa/AFP/Getty Images. We’re all familiar with news stories about radicalized Western kids who join the terrorist group ISIS. Today on The Gist, Julia Ioffe tells the story of the mothers those kids leave behind, and how many turn to activism in their grief. She wrote the article “Mothers of ISIS” for Huffington Post Highline. For the Spiel, Mike consults the book of Job.